Resolution Is Important for Photography; Why Not 3D Scanning? Professional photographers are almost always willing to put in the extra buck for high resolution camera. Having a camera with a resolution of up to 20 megapixels can produce the quality pictures they need to do their best on a job. Yet for scanning, the resolution tops out around 5-6.2 megapixels. Granted, 3D scanners aren't being used to capture stunning vistas or wedding processions. So should the same logic of bigger is better be applied to scanners? Not necessarily. The first thing to know is that bigger does not exactly mean better. Depending on your application and the size of the object, a scanner with a resolution of 2.0 MP can do a better job than one with 6.2 MP. You see, when an object is scanned, the typical method maps out individual points on the X and Y axis, while the Z is determined using striped patterns that are projected onto the object by the scanner itself. These patterns allow the scanner to map out the Z distance using triangulation. This is where resolution comes into play. Resolution determines how many points are mapped on the axis, and when the resolution increases, the number of points also increases. Oftentimes you will see specifications of high resolution scanners similar to "0.08 mm at 160 mm." What this indicates is that each point on the XYZ grid is mapped 0.08 mm apart from each other when the scanner is held 160 mm away from the object. So that's good, right? Not really. It's inefficient. One single scan from a high resolution scanner can produce millions of data points. This provides a massive data overload, so much, in fact, that if you don't have a high powered graphics card and enough RAM on your computer, it will cause a system crash. 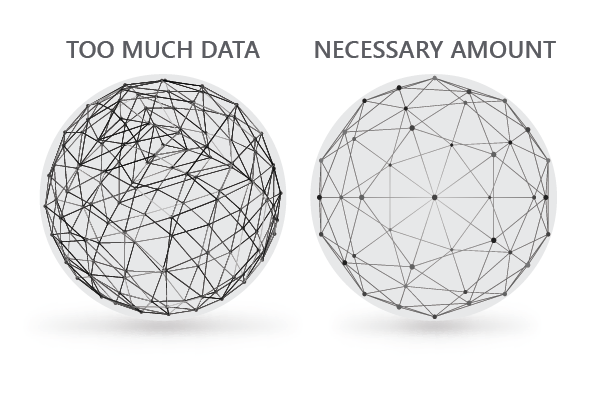 This amount of data is also not always needed or helpful, and it's the reason why so many scanners demand a computer with high graphics capabilities. Even with the large number of points that are captured, it doesn't mean that the scan will come out well. So instead of prioritizing the high number of megapixels, it would be more beneficial to look at other aspects of the scanner. Remember back in science class when the teacher discussed the difference between accuracy and precision? You likely used the example of a dart board or an arrow being shot at a target. The closer the projectile hit to the mark, the more accurate it is. While the closer together all of your shots are determines the precision. 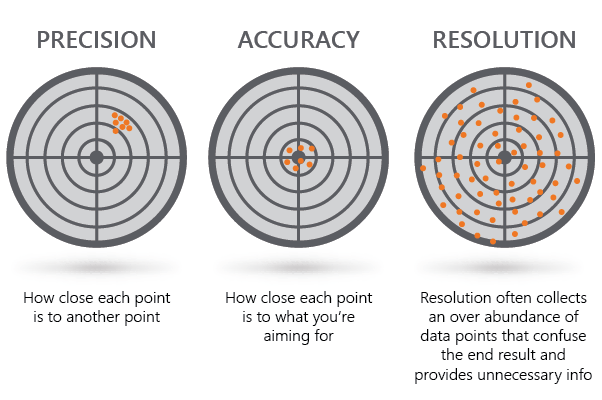 Similarly, when comparing accuracy and resolution, accuracy is determined by how closely the point reading matches the actual object, whereas resolution is the number of projectiles that you have in your arsenal, so to speak. In other words, accuracy is what allows you to be certain that the scanner is capturing the object correctly. At this point, you don't have to be told that high resolution scanners come with a high price-point. More often than not, having a large amount of data isn't necessary to get a good scan. But in the end, accuracy is far more important to look at when compared to resolution. What Level of Accuracy Should I Be Looking For As a Jeweler? Choosing the right 3D scanner can be all it takes to allow your jewelry business to excel in some areas that others can't even compete in. 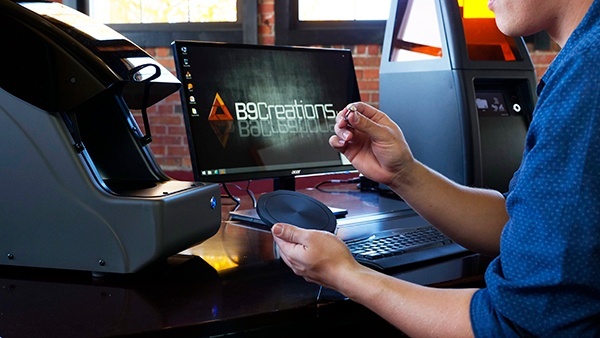 B9Creations wrote a case study about a jeweler who had an impossible job that no one else could do until he ran across a company that owned a B9Scan 350. Click here to read more on that. Case in point, 3D scanning can be the tool that helps you complete the impossible. But what exactly should you be looking for in terms of accuracy? The simple answer is that you should look for whatever will give you the smoothest end product. Some considerations you can look into are your desired casting resolution, what resolution your 3D printer can produce, just to name a few. As a jeweler, the obvious answer is that you want the highest level of accuracy that can be reached by 3D scanning. So the higher the resolution can go, the higher the resolution will be on everything in the workflow, from the .stl file in CAD, to the 3D print, and when the piece is cast. 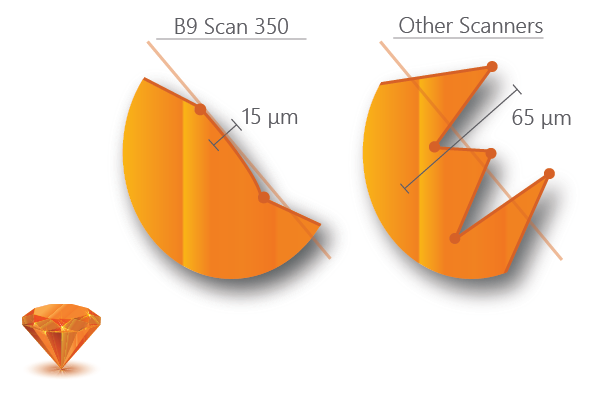 B9 Creations Scan 350 is one of the products with an accuracy that is most beneficial for jewelry. This scanner can reach an accuracy of 15 microns, which means that each point reading as the object is being scanned is nearly 15 microns away from the capturing the piece to perfection. Additionally, this comes with the ease of use and reliability that we put behind our products. From our many case studies and success stories that we've seen our scanner used in, we have every ounce of confidence that this product can fit your jewelry production needs.